I had some real research to do when the Idaho Potato Commission asked me to create a recipe for Brazilian Potato Salad. I hadn’t ever had it, but the more I read, the more familiar it seemed. It’s a lot like American potato salad because it’s mayo based. It also includes olives, veggies, and eggs. This recipe gets that eggy flavor by adding some kala namack, an Indian salt that has a high sulfur content that makes food taste like eggs. 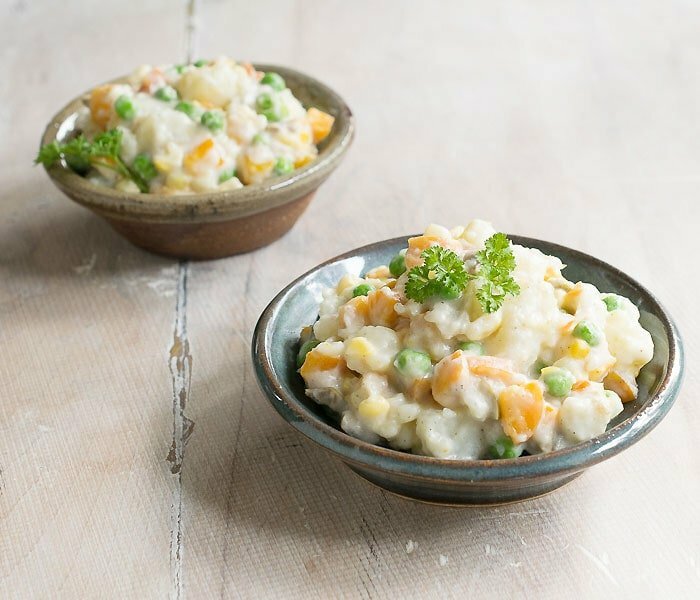 Be sure to check out my other potato salad recipes: Instant Pot Rainbow Panzanella Salad and Instant Pot Indian Potato Salad. 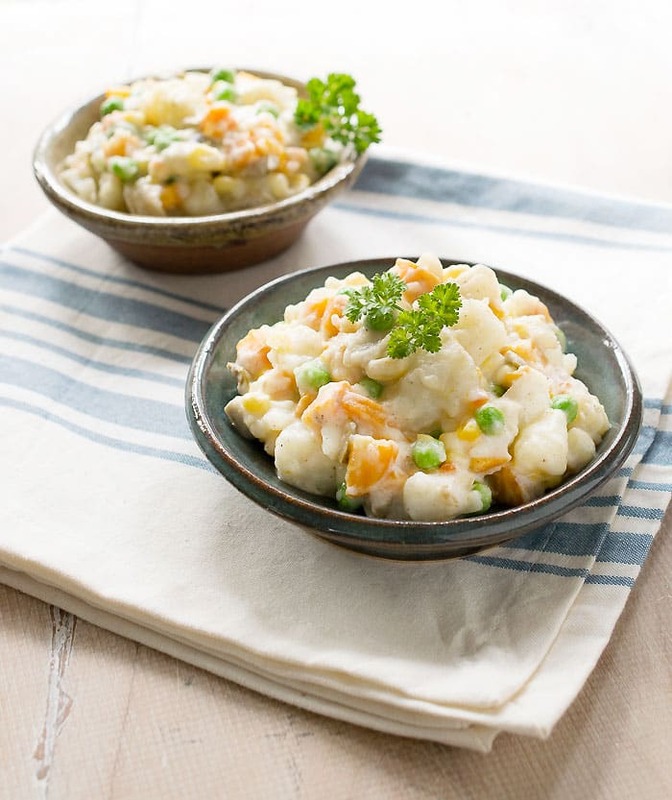 You can never have too many recipes for potato salad! Brazilian potato salad has a mayo-based dressing and hard-boiled eggs just like American potato salad. 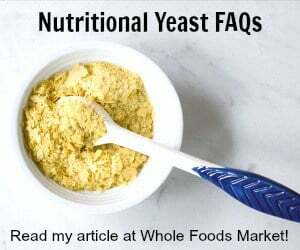 Since this is a vegan recipe we’re using a special salt that tastes like eggs instead of real eggs - it’s called kala namak and you can find it online or at Indian groceries. And it’s a bonus that this salad is chock full of veggies! Place the potatoes, water, and carrots into your Instant Pot and cook on manual, high pressure, for 10 minutes. Manually release the pressure and remove the lid. Add the peas and corn, replace the lid and cook on manual, low pressure, for 0 minutes. Yes, I really mean zero minutes. Once it's done, which will be a few minutes since it will need time to come back up to pressure, release the pressure manually. Pour everything into a colander and rinse with cold water to stop the cooking. Set aside. In a large mixing bowl add the cooled vegetables and the dressing then mix well. You can serve it as is, or chill for an hour. * Note: If you don’t have an Instant Pot, you can still make this delicious salad. Just cook the potatoes and carrots in a pot on your stove over medium heat until they are easily pierced with a fork. Remove from heat and add peas and corn, cover and let sit for about 5 minutes, or until the peas and corn are cooked. Then start on step 4 above. I never thought about using black salt in a potato salad. what a great idea! Thank you so much for the salt suggestion. I’ve been experimenting with vegan potato salad this summer and still not quite there with a good substitute. Perhaps that salt will do the trick. 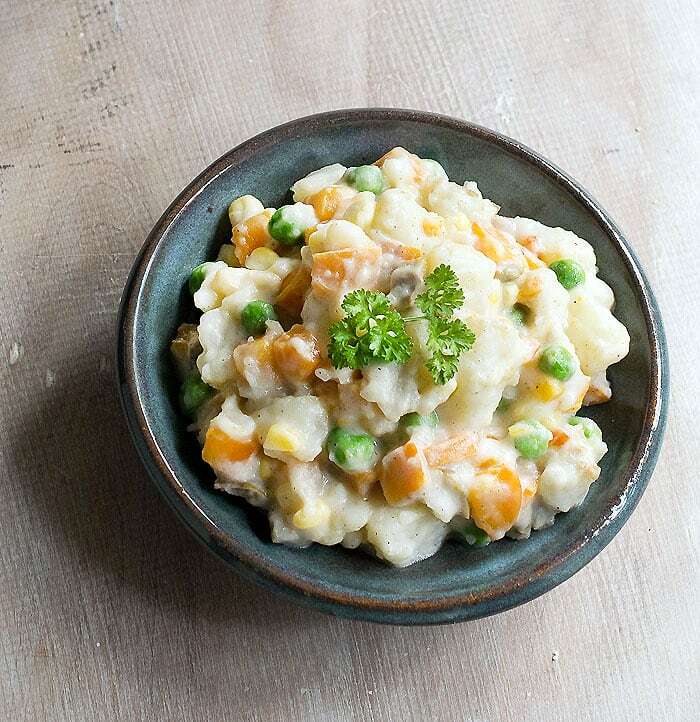 I do love veggies in my potato salad, have never mixed in corn, but I can taste it already! This recipe is my husband’s new favorite! The first time I made it (for the Opening Ceremonies of the 2016 Olympic Games in Rio), I used sea salt since none of my gourmet bulk spice stores had kala namak. Fresh from the Instant Pot, we loved it! Determined to make it the best it could be, I ordered the special black salt from amazon and made another batch immediately. It *was* even better than the first time! Thinking I might add even more nutrition and flavor, the next time I added cubed sweet potato, but it was no improvement. I’m through adjusting your recipe; it’s perfect! Note: the only thing I find necessary to adjust is the time to cook the potatoes. When I’ve used fresh, local potatoes (those less than a couple weeks out of the ground), they have fallen apart in the recommended cooking time. More stable potatoes were done perfectly when I followed your recipe. I’ve pre-ordered your new The Ultimate Vegan Instant Pot Cookbook because I know there will be other favorite recipes there. Thanks! If you’ve checked the calendar, the Olympics are still in full swing; this recipe is so good that I’ve made it three times already!